For a few years, I went through some tough financial times. First, I failed a lot at trading. It’s no secret. But even when my trading performance started getting more and more consistent, I was still struggling financially. The reason was that I didn’t know how to manage my finances skilfully. The topic of how to manage your finances is not often discussed in this field, and I think it’s a big mistake because it is an essential part of what constitutes a successful approach to trading. How you manage your finances directly impacts your mindset (and vice versa), which in turn, shapes your market performance. Part of the reason why I didn’t know how to handle my finances was that I wasn’t taught how to do it. I wasn’t taught its importance, so I lived my life like 99% of the people out there – I had no sense of priority, I wasted money on depreciating assets and useless stuff, and I was essentially living from paycheck to paycheck. And when I began trading full-time, for so long I thought that trading for a living entailed milking the market for profits every month, so that I could take my crazy spending habits to the next level. It actually took me a while to step back and realize that this situation wasn’t going to work as I envisioned it. It made sense on paper, and also in the minds of the people trying to sell you a magic system that doesn’t fail. But in reality, you don’t control the market, so even though you do everything right, some months you’re just not going to bring in profits. Actually, quite the opposite: you’ll bring in losses. It took time before I realized this. But thankfully I did. And consequently, I’ve changed how I approach my personal finances. I’ve been able to compound some of my trading profits and now I have two pretty decent sized trading accounts. I have money locked up in fixed-deposits and savings accounts. I’ve paid off several small debts that I had and I’m now completely debt-free. I have a very decent emergency fund for those inevitable bad days. How did I accomplish all of that? Secret #1 – I started tracking my expenses. I started tracking all of my spendings on a daily basis. I started figuring out what is necessary and what isn’t; what is a priority and what isn’t. Tracking, I find, is a great way to not only provide direction but make the process of changing fun. Secret #2 — I started living frugally. The idea that a trader is someone who throws money out of the window — throws giant parties every weekend; goes on these incredible shopping sprees, and what have you — that is pure fiction! Honestly, I live a very simple and frugal life. I don’t own a car. Honestly, I don’t even own a cell phone. I can afford those things, and much much more, but I choose not to. They’re depreciating assets for one. And for two, I’ve learned to live my life without them. This might seem extreme to many people, but remember: I used to be a monk, I don’t have kids yet, and I travel a lot. Currently, these things are not essential to me. I’m not asking you to be like me, I’m just telling you to watch out for your expenses. Spend wisely, not compulsively. The market doesn’t guarantee anything. Even though you have a viable strategy, whatever profits you spend frivolously might take you a while to get back. 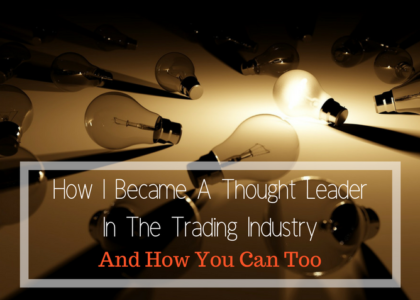 Secret #3 — I stopped relying on trading profits to pay the bills. One of the easiest ways to turn trading into a miserable experience is to rely on it to pay your monthly bills. You’ll turn into an emotional wreck, so don’t do it. Find another way to pay your bills. In the past, relying on trading profits to pay the bills has made trading an emotional roller coaster for me. Until it eventually dawned on me that trading profits are uncertain. (Short-term trading outcomes are randomly distributed). Bills aren’t. They come in at a fixed time every month. So it’s better to have another more timely source of income (via a job or a side business) to take care of those expenses. Fixed expenses require fixed income. Let me say that again: Fixed expenses require fixed income! There is real freedom in being able to pay all your bills and not having to worry about whether or not you’ll have enough trading profits to do so by the end of the month. Personally, that’s one of the reasons why I run such a blog and have books and courses to offer. Because first of all, it allows me to help others and, second, the side income I’m able to generate there helps me weather the ups and downs of trading – the uncertainty. Nowadays anyone can create a blog, write an ebook, teach trading, create an app, set up a stock picking service… many traders do that. So my question to you is this: If you have something valuable to share with the world, then why shouldn’t you? 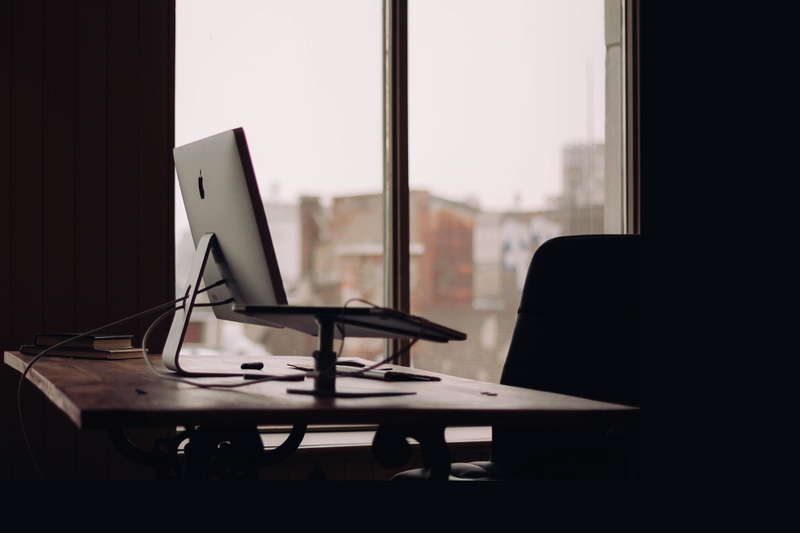 Secret #4 – I worked on building a financial cushion. Okay, I get it. You don’t want to blog; you don’t want to write books, teach trading, have a day job… you just want to trade and earn your living doing so. Yes, that’s possible too. Absolutely! But you’d have to work on building a financial cushion first. If you’re a trader with some years of experience, you certainly know this to be true. And so, you know the importance of a financial cushion. Again, you don’t know what the market will hand you on any given month. It might be losses, or it might be profits. Whatever the case, you need a financial cushion of a minimum of 6 months of your monthly expenses. This way, if you’re in one of those nasty drawdowns, you have enough to put food on the table, pay your bills, rent, or mortgage, and maintain your lifestyle. So how do you build this cushion? Well, there’s no magic trick, it’s saving. See secret #2 — find a way to spend less and put more on the side. 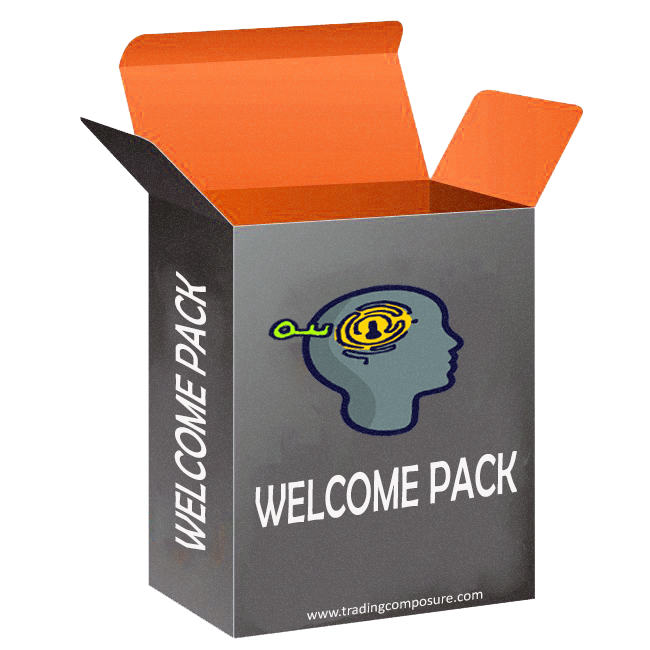 Secret #5 – I started using trading profits to pay for discretionary expenses. First of all, I want to say this: Don’t let your desires control you. You have to learn to control them at will. When you’re finally able to have better control over your desires, then you can eventually consider using your profits wisely to buy those stuff that’s an additional boost to your wellbeing. You know… those things that make a life interesting. But keep this in mind: If you win, you buy. If you DON’T win, you DON’T buy. It’s as simple as that, and, to this day, this has been my go-to strategy. For instance, earlier this year, when I was living on the Island of Mauritius, I bought myself some fairly expensive scuba diving equipment, as well as an underwater camera. These things have been financed by trading profits alone. More recently, I wanted to buy some home fitness equipment. But I had a trade on and before I went on and bought that equipment, I wanted to wait to see if that trade would end up profitable. The trade was a loss. Did I buy the equipment? No! Even though I can afford it, I decided not to buy it. You have to be disciplined. 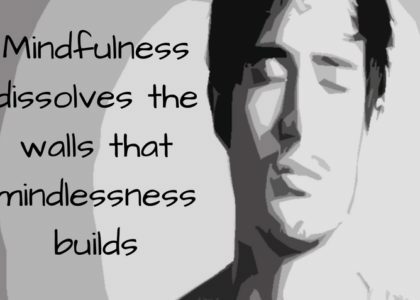 There must be a structure that guides your behavior. Or else, you’re not going to build wealth, or if you do, it’s going to take you a very long time. Secret #6 – I leave some profits on my account to compound. I don’t spend all my trading profits on discretionary expenses. I keep my desires in check and make sure I don’t buy stupid stuff. And instead, I leave the remaining profits on my account to compound. 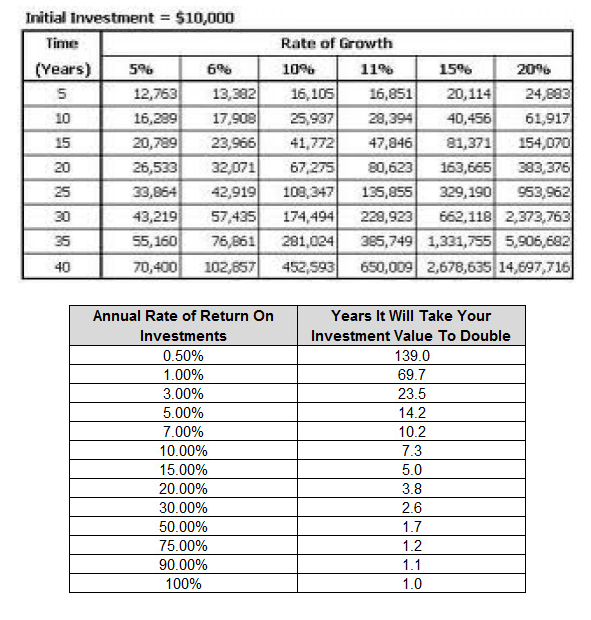 Below is a screenshot of a post from newtraderu showing the magic of compounding returns. It says it all —keeping your money in your account and letting it compound and grow is one of the fastest ways to financial freedom. I use part of my trading profits to build a financial cushion. I use another part for my discretionary expenses. The last part is left to compound on my account. That’s about it. 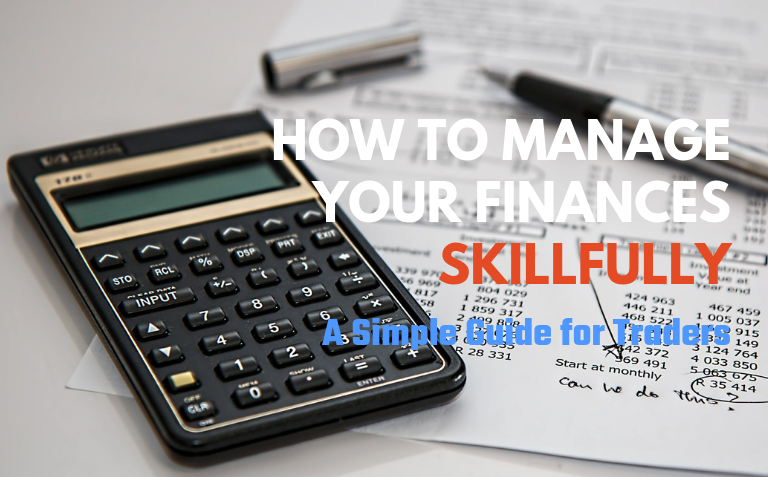 How to manage your finances skilfully. As you see, there’s nothing magical. It’s about frugality and organization. Sometimes the market will hand you money, and a lot of it. Sometimes, you’ll get peanuts. And sometimes, it’ll take away money from you… all in all, on any specific month, you can know how much you risk to lose (and this should be well defined in your plan), but you’re never sure how much you’re going to make. You can wish or hope to return a profit but you don’t really control these things, because how the market behaves is out of your hand. The only thing you can control is your process, but your process doesn’t (and cannot) guarantee you a specific monetary outcome. It only promises positive results over the long-term, if you keep taking your chances. So, as a trader, you have to learn to get your finances under control. You have to plan your spendings, and know exactly what you’re going to do with your trading profits. Trading is all about strategy – strategy in finding opportunities, strategy in managing risk, strategy in managing your mindset, and strategy in managing your finances. And one of the most important steps, as mentioned above, is to increase your wealth methodically, making it a predictable and repeatable process. The above ‘secrets’ are the series of steps that I used to get my finances in better shape and to pay off debt faster. Tracking your expenses and living frugal should be the first things you do, in my opinion. It is vitally important. But managing your urges is only a part of the equation — spending less only gets you part of the way. Earning more and compounding it gets you the rest of the way.